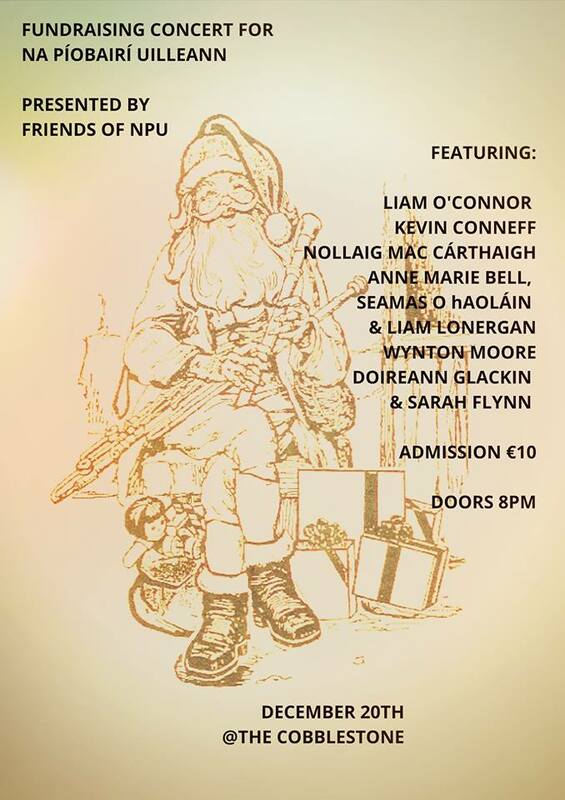 Christmas Fundraising Gig for Na Píobairí Uilleann! Friends of Na Píobairí Uilleann are once again coming together to host an amazing night of music and song for their beloved Pipers Club!! With this being the 50th anniversary of NPU, we thought it only right to celebrate them as much as we could before the year is out! !